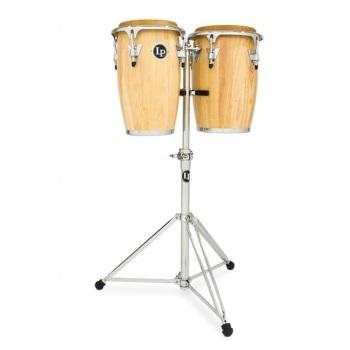 This small but vocal conga set includes an 8” and 9” diameter conga and a height adjustable stand with double braced legs. They have a sound that is a cross between a bata drum, bongos and congas. Their compact 15” shells make them portable and easy to incoraporate into a drum kit.